If you travel, especially on road trips, you know that feeling. You've packed the gear, taken care of the details. You're 'heading out', 'heading for adventure'. You're on the road again. It takes a few miles, perhaps it's the rhythm of the road, but your mental state changes. The worries of work and home begin to fade. The world opens up. You see through different eyes. Possibilities present themselves. In this day of GPS-enabled mobile phones, a compass seems out-of-date, old-fashioned. But the image of a compass evokes the romance of travel where a phone does not. 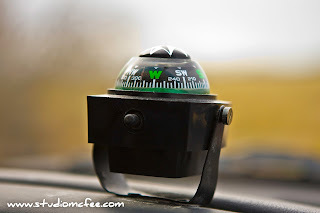 I have never had a compass attached to the dash of any vehicle. I have, though, traveled with people who did. 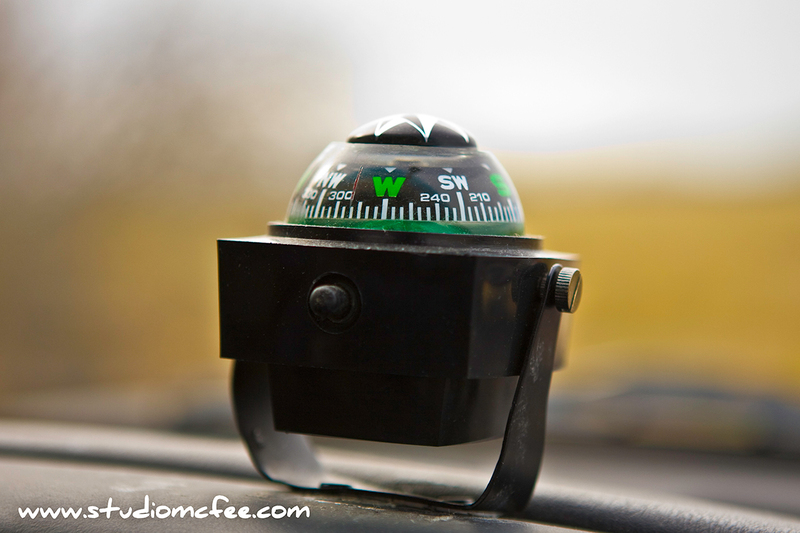 On a Manitoba road trip a few years ago, I photographed this compass. The image inspires me, pleases me, and instills a desire to get on the road. I hope it inspires you too.